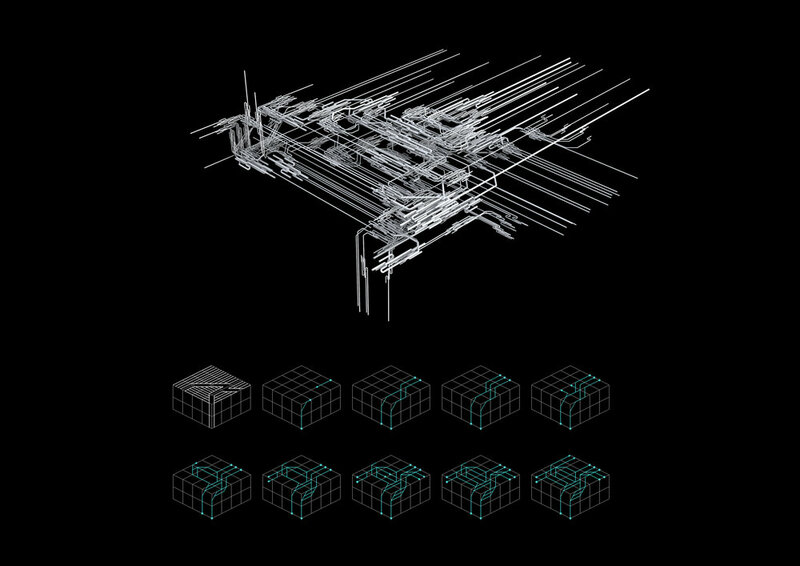 The project develops mechanisms that extract fundamental attributes of built space, deriving the creation of new digital forms through an indexical organisation of discrete parts that simulate these attributes. 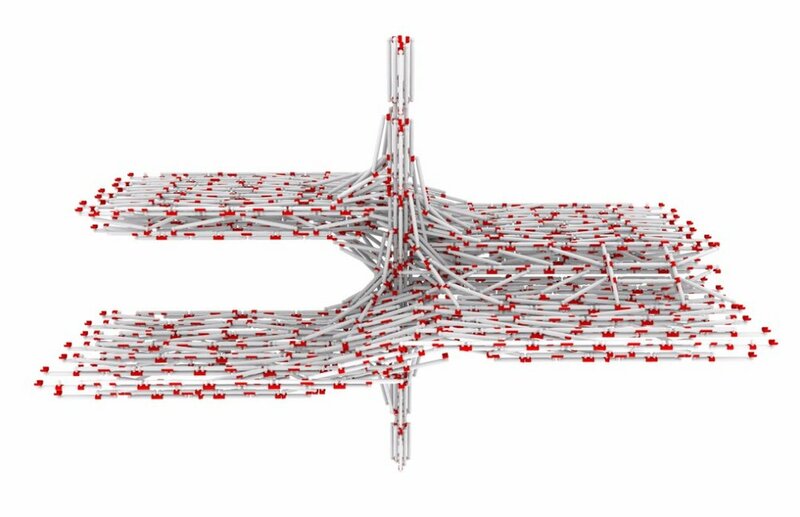 The development of a radical tectonic and programmatic assemblage is built upon the computational folding and sequential interlocking of standardised bent metal pipe geometries. 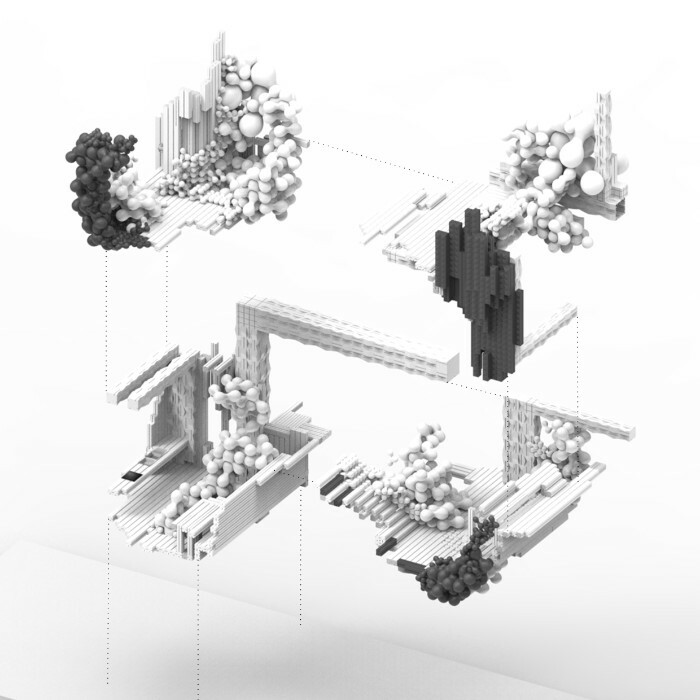 Advanced concepts of generative part-to-whole relationships explore the subversive concept of digitising the interpretation of space through the reproduction of a series of distinct architectural typologies identified within the urban grid plan of Buenos Aires. 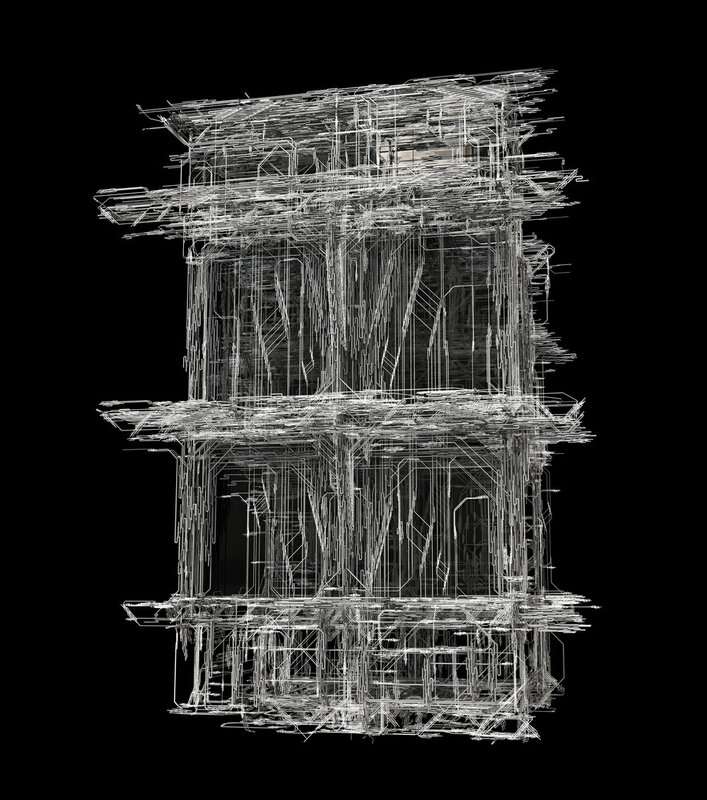 This radical building logic is constructed in the order of: typological precedent (existing building), classification (identification of spatial hierarchies), extraction (record of representative data), assimilation of features (reinterpretation), and reinvention of architectural form. 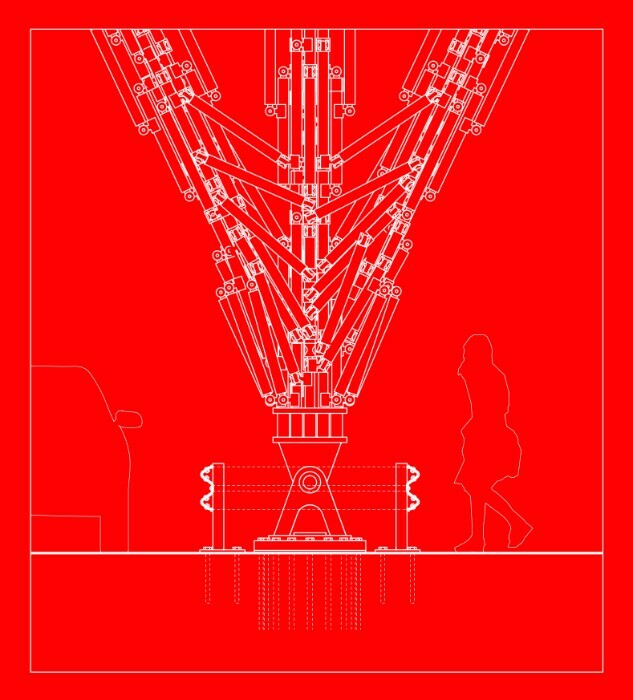 This project imagines a future in which most jobs have been automated, in which the conflict between labour and capital has been resolved through public ownership of automata. The writings and drawings try to imagine the infrastructure of full automation and the spaces of full unemployment, placing them in the Delta del Parana, north of Buenos Aires. Digital materials are not only the means to successfully automate the construction process, but the symbol and working parts of a shared housing program in constant flux. This program pre-figures a post-familial and form of living, predicated on sharing domestic labour and enjoying each-others company. 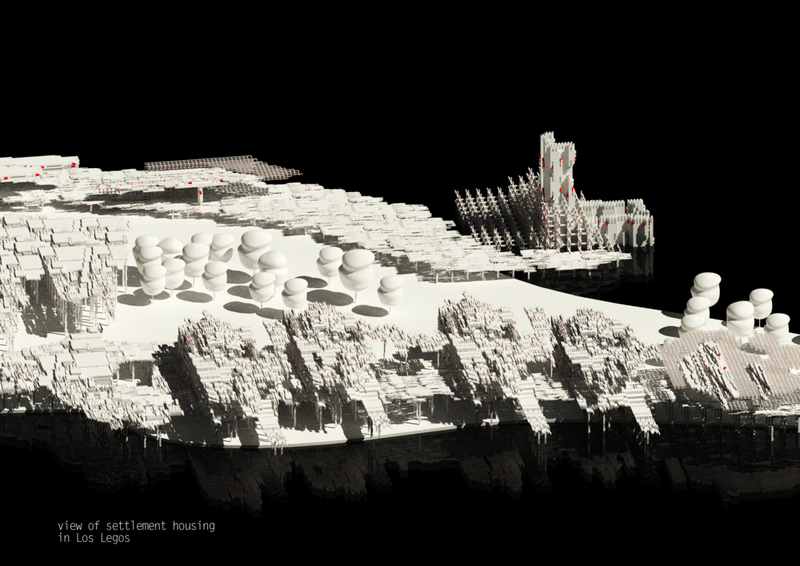 Operating within the context of the Buenos Aires housing crisis affecting 500,000 people, the project proposes the radical separation of the ‘home’ from the ‘building’ it resides within. 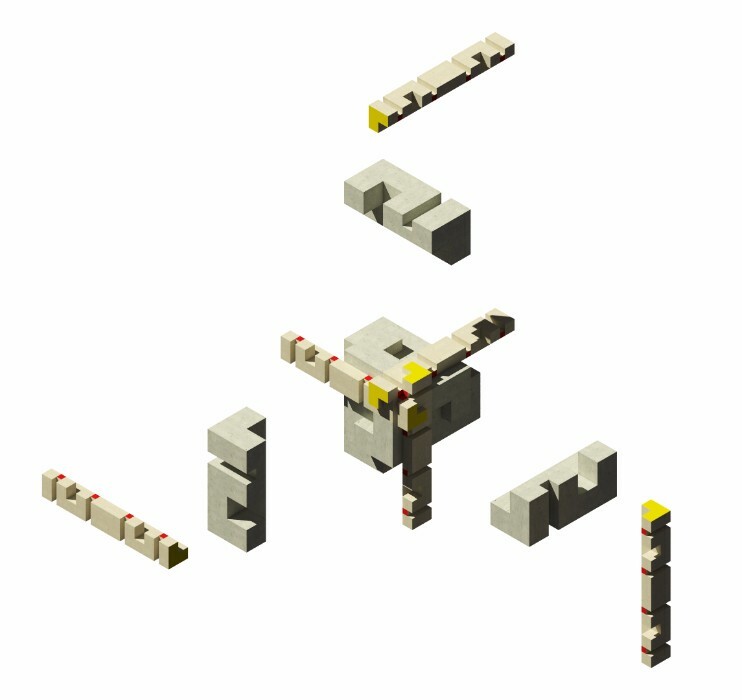 The ‘building’ is composed of a discrete system of self-assembling ‘Dynamic Construction Particles’ (DCPs) which provide structure, circulation and environmental control (making use of exo-muscular robots to give the Particles individual self-locomotion). The ‘home’ is composed of a separate discrete system of floor, ceiling and wall elements which can be arranged according to the occupant’s needs. The occupant only owns the enclosure elements, hugely reducing the financial cost of the home, and can purchase more or sell them over time according to their specific demands, while the DCPs rearrange the surrounding building to support these changes. This mereological brick system questions the predominant modernist architecture of discrete elements, as we know them today. 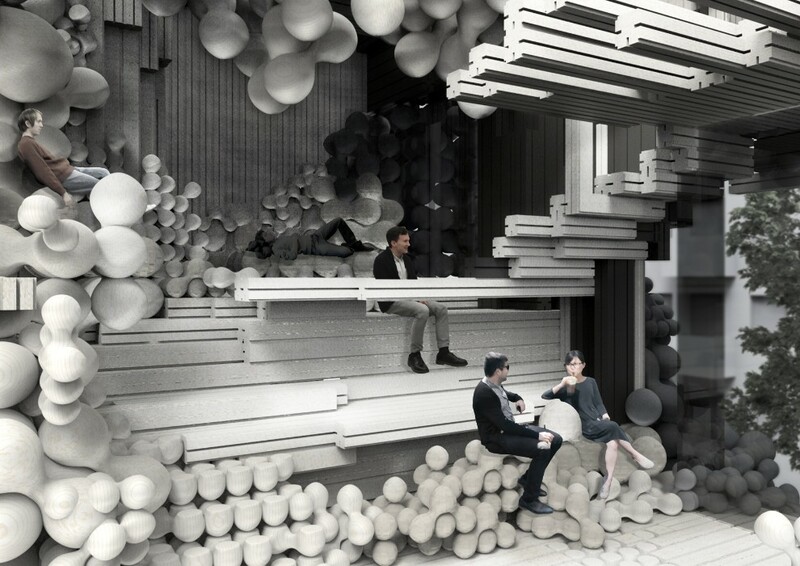 Instead, it proposes a breakdown of these elements into individual components that come together to form a continuous building environment where spatial boundaries are blurred. The building proposal breaks away with the ‘functionalist’ living environment of the Maison Domino, while it deals with a range of brick aggregations that are non-deterministic. 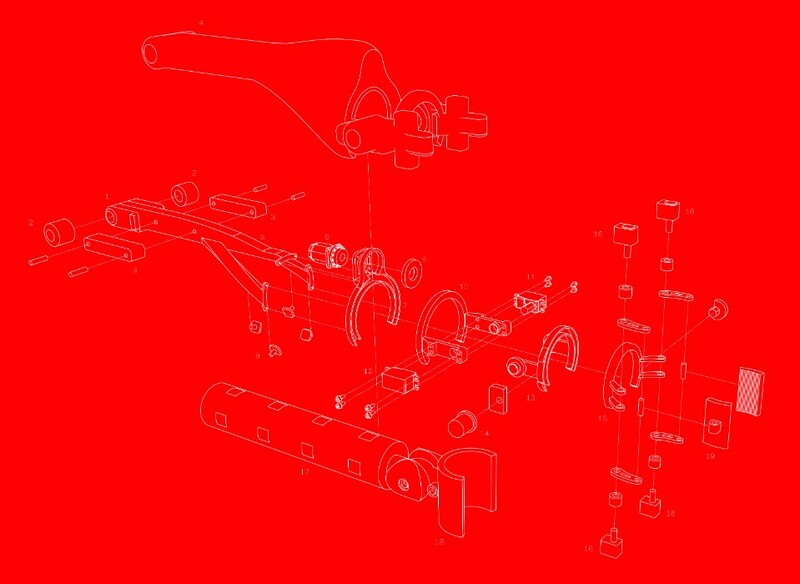 The system is conceived to be easily assembled and disassembled dealing with concepts of spatial adaptability and material recycling. 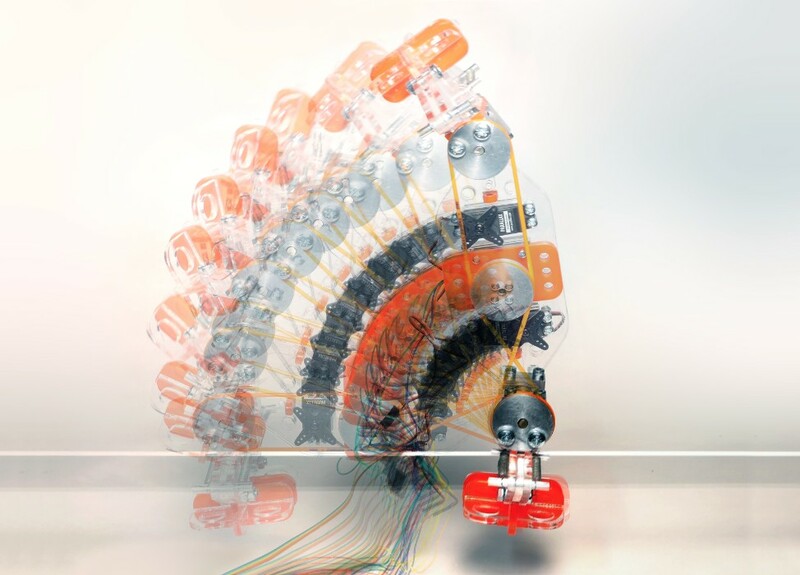 Working with discrete building components allows for cost-effective solutions in fabrication and rapid construction processes in a competitive and automated market of tomorrow. Taking the ‘Cartesian Joint’ employed in Gerrit Rietveld’s Rood Blauwe Stoel as a starting point, this project investigates a new form of ‘universal brick’ that connects in 3 axes - a serially repeated discrete building element that can create new architectural tectonics. 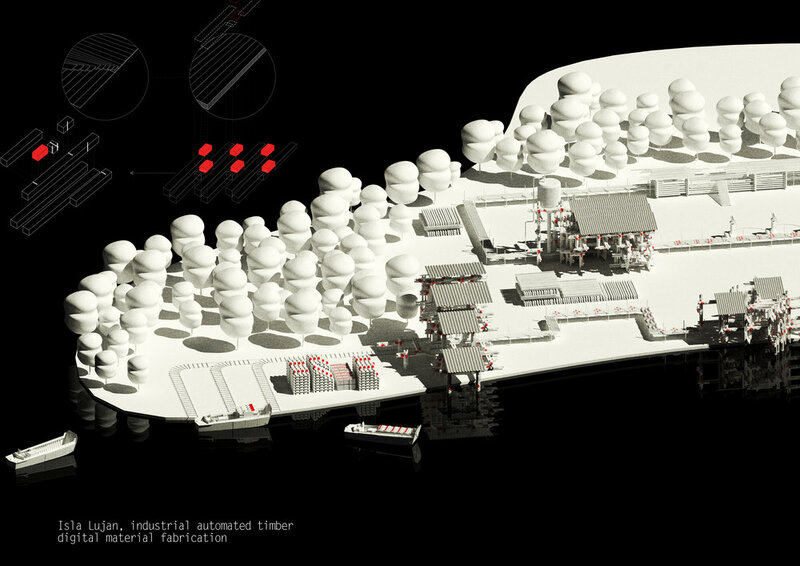 This discretisation of architectural construction questions both the modernist model prevalent in contemporary architecture as well as the more recent notion of continuous construction that has accompanied advances in 3D printing. 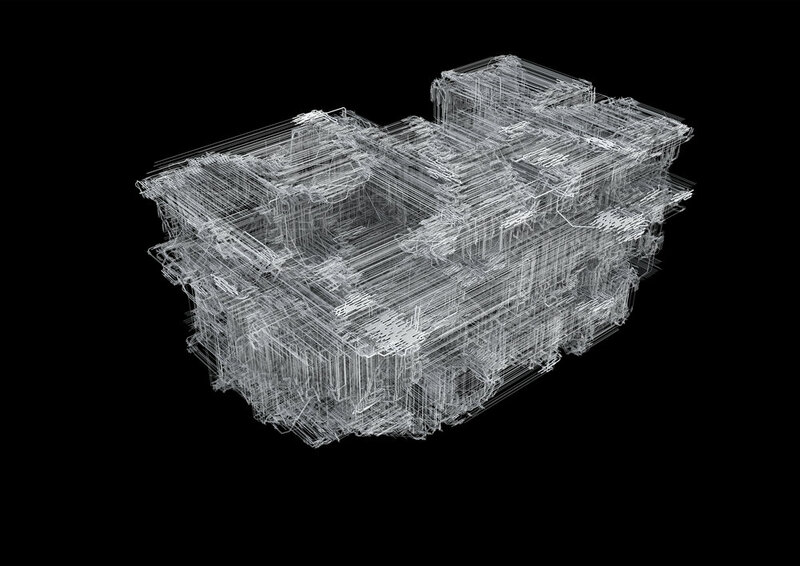 Ultimately, this leads to new methods of describing and translating architectural information itself. 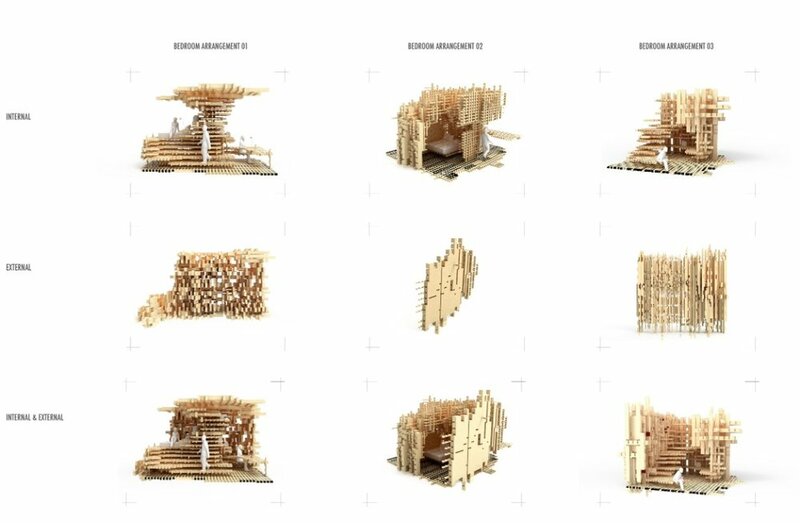 The investigation uses 3 studies to guide the research; the re-interpretation of a 1920’s Modernist apartment plan, a contemporary building proposal located in Buenos Aires and a speculative exploration of the building system’s potential. The project proposes a rethink of a brick, its function and relationships to other details of the building. 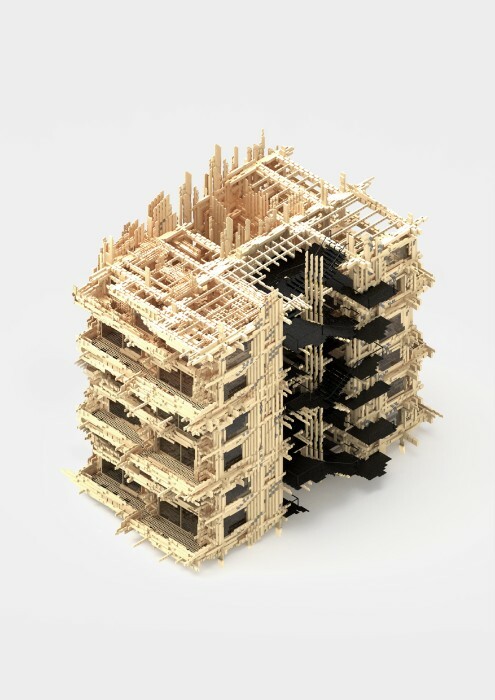 vOxel investigates how a universal piece can be used to form parts of a building, whilst improving speed of construction and assembly as well as financial benefit. 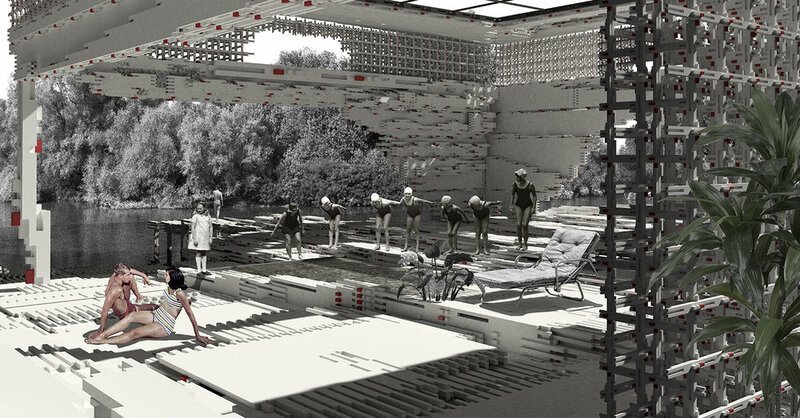 The project investigates requirements and constraints of Buenos Aires, revealing how the aggregation of parts can meet social needs and, unlike its modular predecessors, still provide architectural expression. 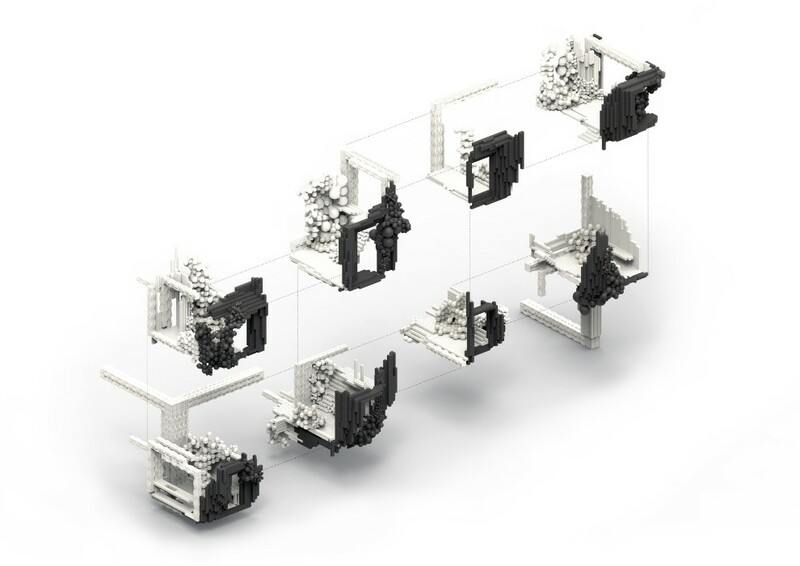 The project developed a universal brick based on a voxel system, which can be articulated into two different versions (sharp, blobby), displaying adaptation possibility for buildings of other functions. The relationship of these articulations blurs boundaries between structural and building elements, inside and outside, providing transition between open and private spaces and an opportunity for residents to shape spaces.